Origin: Central and South America. Trinidad and Venezuela. Company: Can be kept in a community aquarium. 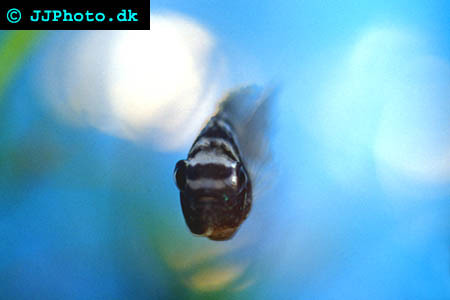 Aquarium setup: Aquarium should be planted and contain a lot of hiding places among rock and rots.. They will not destroy plants. This fish will thrive and breed in most setups as long as a flat rocks on which the may spawn is provided. Breeding: Sexing is hard. The genital on the female is rounder. Breeding is easy. Fishes will breed in a community aquarium. 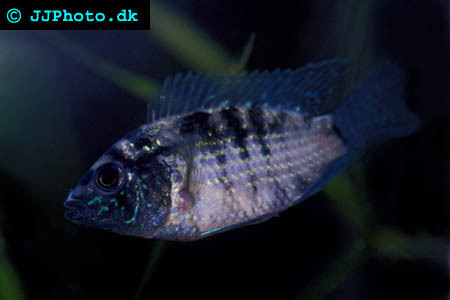 Blue Acaras are usually good parents.